Game Description : Choosing a gift for your love is very important on valentines day. This cute boy loves Anna and he wants to give her love Anna a spacial gift. 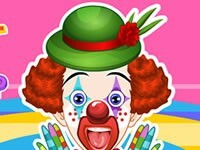 Play mydressupgame valentines day gift decorating game and help this boy to decorate a lovely gift for her love Anna. Have fun. Game Description : Princess ariel is lovely mermaid. As a mermaid, Ariel is strikingly beautiful and attractive; so beautiful in fact that she won an award for most beautiful Disney Heroine. 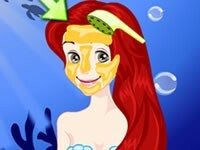 Play our latest facial makeover game you can make up and dress up mermad princess Ariel. 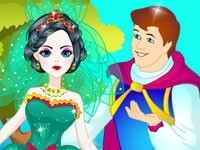 Game Description : The beautiful and courageous heroine princess is back and she is going to mary the prince she loves. Now she needs a nice wedding gown with her traditional fashion style. Dress up Princess Mulan for her wedding. Game Description : Meet redhead princess Merida from Brave movie. Now she is going to mary with the prince she loves. Dress yup princes merida for her wedding. Game Description : princess pocahontas is going to marry the prince she loves. Please dress up her with cool wedding gowns. Game Description : Belle is a fictional character from Beauty and the Beast movie. Belles name means beauty. Princess Belle now is going to marry with Beast Prince. You must dress up Princess Belle for her wedding with cool wedding gowns. Game Description : Finally Prince finds Cinderella with her shoe she lest at the ball. Now Prince and Princess Cinderella are going to marry. Lets dress up Cinderella for her wedding. Dress up her with a nice wedding gowns. After that choose her a hairstyle. Then complete her look with accessories and a pair of shoes. 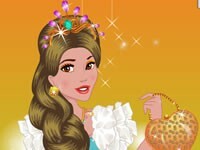 Game Description : Princess Jasmine is going to marry with Prince Aladdin and she is very exited. She has selected some wedding gowns andand accessories but she couldnt decide which one to wear. Please help her to dress up for her wedding. Choose a hairstyle for her. 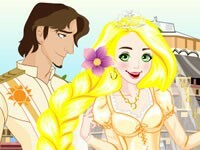 Game Description : Long haired beautiful princess Rapunzel is going to mary with the handsome prince she loves. At this point you must dress up Rapunzel for her wedding with princess wedding gowns. Game Description : Princess Tiana is going to marry the prince she loves. She must be dressed for royal wedding. You must dress up princess Tiana for her wedding. Game Description : We all know the story of beautiful princess Snow White. At the end of her story she marry with the prince she loves. 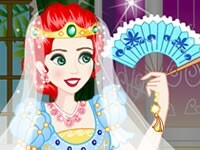 So we thought you might want to dress up princess Snow White for her wedding and made this princess wedding dress up game for you. Lets dress up beautiful princess Snow White for her magnificent wedding with gurgeous princess wedding gowns. Game Description : Ariel is going to mary with the prince she loves. You must dress up her with nice wedding gowns . Choose her some nice wedding accessories. A nice wedding gown needs a nice veil. Have fun! Game Description : Meet beautiful blonde princess Aurora. She needs you help to be prepeared for a new day. She came in to your beauty salon. First wash her hairs and use some creams to her hairs. After that take care of her face with some ncie masks. After that make up her and dress up her with nice princess dresses. Game Description : Kitty Cheshire is the daughter of the Cheshire Cat, the character from Ever After high cartoon series inspired from Alices Adventures in Wonderland. Play our latest ever after high game and make up , dress up this lovely character Kitty Cheshire. Game Description : Blondie Lockes is a lovely character from Ever After High series. She is the daughter of Goldilocks. Blondie often claims that her mother is a queen in a faraway land, but this is not true. At most, Blondie is a mayor's daughter. By playing our Blondie Lockes game you are going to make a total beauty care for her. First wash her hairs and use some hair cream to them. After that use some masks for her face. Then make up her and dress up her with nice toolas and dresses. Have fun. Game Description : You can make a complete care for ever After High character Madeline Hatter in our latest hair and facial game. Game Description : Cedar Wood is the daughter of Pinocchio on Ever After High Cartoon. She was carved out of magical wood and brought to life by the Blue Fairy. We made a game for Cedar Wood. You can take care of her hairs. You can make her a nice facial care. Then You can make up Cedar and dress up her with nice clothes. Game Description : Ever After High C.A. Cupid Doll: Start a new chapter with Ever After High, where the teenage sons and daughters of famous fairytales decide whether or not to follow in their parents fabled footsteps. C.A. Cupid, daughter of Eros from Mount Olympus, transferred from her old school to help both royals and rebels find whats in their true hearts. We created a make up game for ever after highs CA Cupid. You can wash hair , give her a facial care. After that you can make up her and dress up her with cute dresses. Have fun! Game Description : At Ever After High, the teenage sons and daughters of the most famous fairytales ever after turn tradition on its crown!Briar Beauty, daughter of Sleeping Beauty, knows she’s destined to sleep for 100 years before her Happily Ever After, so she wants to make every waking moment count! 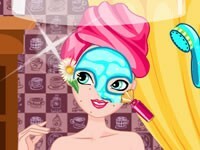 Play our facial make up game and give her a nice facial care. 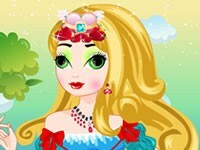 You can make up and dress up Briar Beauty by playing our latest ever after high game. Game Description : I love Ashlynn Ella. She is daughter of Cinderella and a modern teenager. 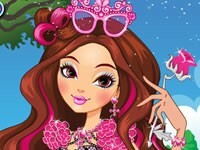 You can make make up and dress up ever after high character Ashlynn Ella by playing our cool game. Game Description : The daughter of Snow White is a charismatic leader who puts her best foot forward in a spellbinding outfit — red-and-pink detailed dress, golden crown with bow, and apple-inspired accessories. First give her a hair wash and hair care. Then make her a facial care. Then dress up and make up her. And choose some accessories for her. 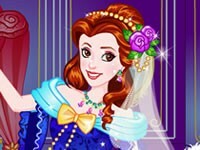 Game Description : Princess Merida from Brave movie is going to attend a prom tonight. Lets make up and dress up her for this lovely prom. Game Description : Mermaid princess Ariel come to your underwater spa center. Lets give her a complete body care. After spa section dress up and make up princess Ariel. 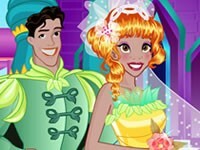 Game Description : Princess Tiana is invited to a prom this night. But her hairs seems very week. Give a hair care to her. Then make up and dress up Princess Tiana for prom. 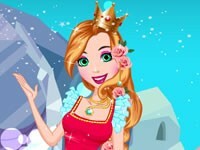 Game Description : Lovely princess Rapunzel goes to spa today. Lets help her at spa. After spa make up her and dress up her with cool dresses. You can choose her a nice long hair or a short one. Have fun! 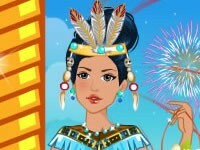 Game Description : Pocahontas is a native princess. She is very beautiful and kind girl. Princess Pocahontas is going to attend a prom this night. Lets make up Pocahontas and dress up her with nice prom dresses. 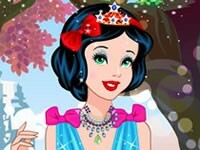 Game Description : Princess Snow White comes to your spa and wants a good skin care. Lets take care of Snow Whites skin and then make up her and dress up her with nice clothes. 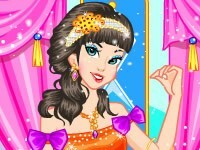 Game Description : Belles name means beauty and she is realy very beautiful girl. She is going to attend a prom this night and she must be prepared fot it. Please help Princess Belle to get ready for this prom. First give her a nice make up and dress up her with magnificent prom clothes. Have fun! 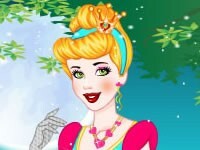 Game Description : Princess Cinderella need a skin care so she come to your spa center. Give cinderella a good skincare at your spa. After spa section help Cinderella to make up and dress up for prince party tonight. 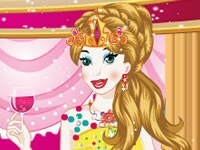 Game Description : Sleeping beauty princess Aurora is going to attend a prom this night. You must make up her and dress up her with a nice prom dress. Choose some accessories for her. Have fun! 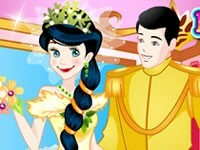 Game Description : Brave and lovely princess Mulan will attend a prom this night. She needs your help to prepare herself to prom. First wash her hairs with traditional hair caring products. Then dress up her with a nice prom dress. Dont forget to make up her for prom. Game Description : Snow White is attending a prom this night. You must prepare her for this prom. Clean her hair and face then make up and dress up her with nice prom dresses. 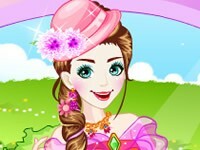 Game Description : You can dress up and make up princess Cinderella for prom. You can choose very nice prom dresses and accessories. Game Description : Make princess Rapunzel ready for this years prom. Make up her , give her a nice hairstyle and dress up her with nice prom dresses. 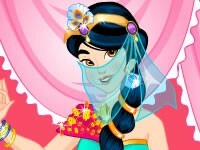 Game Description : Cute Arabic princess Jasmine is going to attend a prom this night. You must make up her for prom. Then you must select a nice prom dress for her. And you must complete her look with accessories and hairstyles. Have fun! Game Description : Princess Ariel is going to prom this night. Please dress up her with nice prom dresses and make up her for prom. Game Description : Barbie is a newsreader and she likes to wear fashionable clothes. Can you dress up Barbie with nice and fashionable clothes for this night's news. Game Description : Dress up this cute ice cream chef with nice chef clothes. 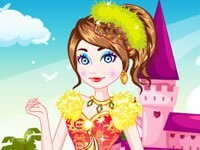 Game Description : Barbie want to look stylish, different, trendily vintage with bold style dresses. She needs your help to know how to incorporate bold style clothing into her existing wardrobe, and have the knack for accessorising her ensemble differently from others. Please help Barbie to dress up different bold style dresses. Have fun. Game Description : Barbie works as an airline hostess for a very important flight company and she really loves to fly on the plane everyday. Being a air hostess is a serious fashion challenge. Please help Barbie to dress up nice hostess clothes . Game Description : Barbie is going to mary with her love. you can dress up her with nice wedding gowns and you can ma her a glam bride. 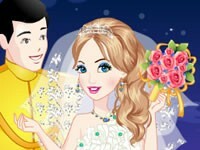 Game Description : Barbie wants make her wedding memorable with a unique selection of personalized wedding. Help barbie to dress up nice wedding gowns. Choose her accessories and shoes. Select a nice hairstyle for barbie. Game Description : Barbie is a princess at a magical castle. You must dress up Barbie with nice princess gowns and shining accessories. Game Description : Barbie is a surfing champion and she realy loves surfing. you are going to dress up her as a trendy surfer. Have Fun! Game Description : Barbie is a model and she is going to attend a motor Show this week. Please dress up her for this motor Show. 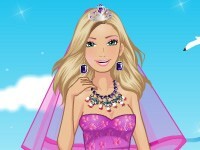 Game Description : Here at mydressupgame.com, we have a nice dress up game for Barbie weddings. 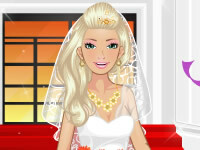 Let's jump in and take a ride into Barbie's world with a look at this fabulous elegant Barbie wedding style dress up game! Have fun! Game Description : Barbie does morning exercise everyday at city park. As always barbie wears fashionable sport clothes. in this game you will help barbie to dress up nice fitness clothes for her morning exercise. Game Description : it is summer and Barbie likes to trip fachinating natüre. She dance with beautiful butterflies and enjoys magnificent flowers. Dress up Barbie for her dancing with butterflies and flowers. Game Description : Barbie opened a grocery store in the neighborhood. 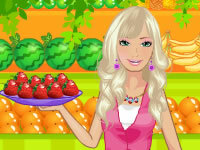 Barbie is now working as a fruiterer and selling delicious fruits. in this game you will dress up her with nice clothes for today's work. 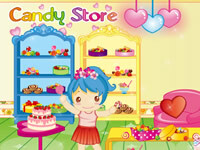 Game Description : Would you like to get a house made ​​of sweets? In this game you can make your own unique candy house with your own way.Sugar House is a great game, you will make it the house decorated with candies and chocolates. Game Description : Barbie is a soft teacher and she loves her students soo much. Please dress up Barbie as a teacher. Game Description : Want to look bright-eyed and energized? So did this busy mother. We show you how to do it in this cool facial makeover game. Game Description : Barbie is going to be a car model on a auto Show. Let's dress up her with nice clothes for this Show. Game Description : Did you know that in your garden, in every wood, meadow and hedgerow,hundreds of Fllower Fairies work and play, caring for flowers and trees? 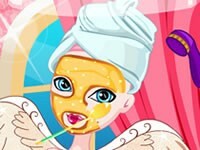 you can make a facial care to this beautiful flower fairy. Then give her a nice make up and dress up her with fashionabe clothes. Game Description : Play our bungalow decorating game to give your own bungalow a DIY decorating overhaul. Use your imagination to make the most beautiful bungalow. Have Fun! Game Description : Barbie decided to make breakfast home. Let's dress up barbie for her breakfast.